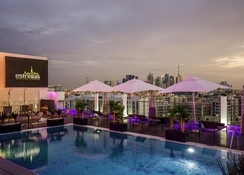 A well-kept secret in the heart of the city, Canvas Dubai is the first 5 star Spanish hotel in the Middle East. Designed by a Milan based architect, the hotel has a fresh, modern air geared to make your stay truly exceptional. 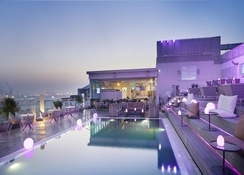 It is cutting edge in style and located in one of the most important destinations in the world. Expect visually entertaining interiors with contemporary art pieces from all over the world and 164 stunningly decorated rooms & suites, state-of-the-art meeting space and business facilities, reflecting the urban glamor of this flourishing metropolis. Dining options include a modern Indian restaurant and a sushi bar. 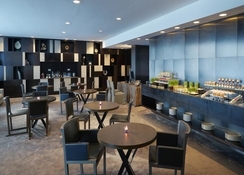 There's also a chic sports bar and a poolside cocktail lounge. 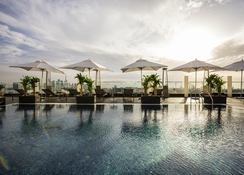 Other amenities consist of a rooftop pool, spa, fitness room and business center. Parking is free. 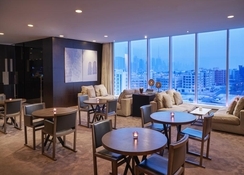 Set 1.9 km from the Dubai Museum, this contemporary upscale hotel is 5 km from Dubai World Trade Centre and 10 km from the Burj Khalifa tower.